The God Eater series is Bandai Namco’s take on Monster Hunter, and while not nearly as big or deep as the best games in that series, God Eater 3 does a good job of making up for those shortcomings with flashy combat and an apocalyptic backdrop that helps raise the stakes. God Eater 3, which is out February 8 on PS4 and PC, seems overwhelming at first, but its story and gameplay are pretty straightforward. It takes place in a futuristic world where much of the planet has been ravaged by Aragami, a race of monsters that can consume natural resources and other life forms to take on their power. They can only be killed using special biomechanical weapons manufactured by big pharma, and only certain people have the mental and physical capacity to wield these weapons. The select few who can have the God Arcs grafted into their physiology and are called God Eaters, forced to roam Earth’s wastelands fighting monsters to keep what remains of humanity from going extinct. At the start you create a character, customize how they look, and then go off into battle. You have a set amount of time to finish each mission, the object of which is usually to kill everything in sight and check the surrounding areas for valuable crafting materials. In between combat you can walk around a homebase, a giant roving armored tank, talking to other characters who fight alongside you as part of a four-person squad and craft new weapons and equipment based on what you’ve been able to scavenge. That’s pretty much it. You select missions from a main terminal, all of which can be replayed on different difficulties in order to grind for better stuff. God Eater’s world is also full of haves and have-nots, and part of the drive to keep getting more powerful is to eventually break free of the rigid social hierarchies that govern life after apocalypse. Fighting itself takes the form of bashing monsters with your preferred type of weapon, linking up with allies to temporarily boost stats and damage, and occasionally dodging or blocking incoming attacks with a shield. Whichever weapon you’re using can also transform into a gun whose bullets can be customized to provide unique benefits like healing party members or freezing enemies. There’s also a stamina meter which, while generous, prevents you from just constantly mashing the attack or dodge buttons. God Eater 3 also has multiplayer, including special assault missions designed for eight players to tackle together. That formula is far from groundbreaking, but God Eater 3 has all the dials calibrated tightly. Combat is fluid and fast-paced. Gear and character progression happens at a steady enough pace that every mission feels like it was worthwhile by the time you complete it. It’s perfect for anyone looking a quick Monster Hunter fix without being immediately overwhelmed by weapon combos and stat menus. Like the remakes of God Eater 1 and 2 which were ported to PS4 from the PSP and PS Vita in recent years, God Eater 3 also benefits from being on a home console. While the grindier aspects of the series have always made it perfect for portable gaming, it’s nice to be able to see the series’ dystopic world in such vibrant detail. Its twitchy combat is also a lot less prone to aggregation when wielding a Dualshock 4 as opposed to the PSP’s d-pad or the Vita’s tiny thumb grips. I don’t see myself playing through God Eater 3 to the end. 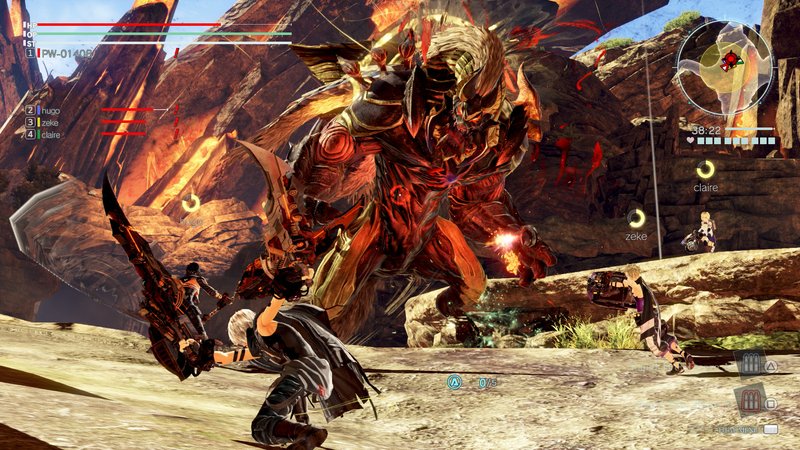 It’s really just more, prettier God Eater. But it’s been great to get back into that dreary world for a bit and smash up some Aragami with my favorite giant ax gun.